What if we attempted to create an all-inclusive map that touches the most important factors from all of the world’s great traditions? Using all the known systems and models of human growth—from the ancient sages to the latest breakthroughs in cognitive science—Ken Wilber distills their major components into five simple elements, ones that readers can relate to their own experience right now. 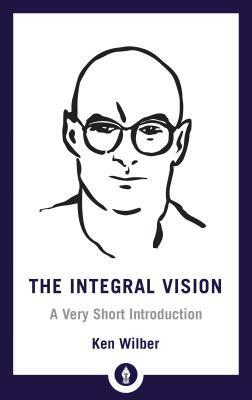 With clear explanations, practical exercises, and familiar examples, The Integral Vision invites readers to share in the innovative approach to spiritual growth, business success, and personal relationships. This book has been adapted from the 2009 graphic edition. KEN WILBER, the developer of an integral "theory of everything" that embraces the truths of all the world's great psychological, scientific, philosophical, and spiritual traditions, is the author of over twenty books. He is the founder of Integral Institute, a think-tank for studying issues of science and society, with outreach through local and online communities such as Integral Naked, Integral University, Integral Training, and Integral Spiritual Center. Named one of Publishers Weekly's Best Books of the Year 2007.